New websites usually do not achieve a good position immediately. In fact, Google does not assign any page rank (= importance) to them for three months. Until a new website climbs up to the top of search engines, website publishers are left with the option of advertising on Google Adwords and other search engines. 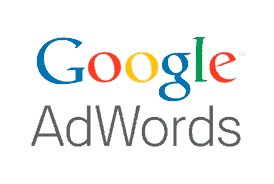 Due to the complexity of the system it is recommended to leave Google Adwords Management to a pro. We target potential customers and send you weekly reports of your success. Advertisements can appear in Google, Yahoo or Bing and in their partner sites AOL, Ask, Netscape, EarthLink, AltaVista, InfoSpace and many more. It can be increased or terminated at any time. In addition, we install analytic software on your site FOR FREE: A reporting tool that shows you where your visitors are coming from (geographic and website referral), where they leave your site, what keywords they were searching for; and much more.